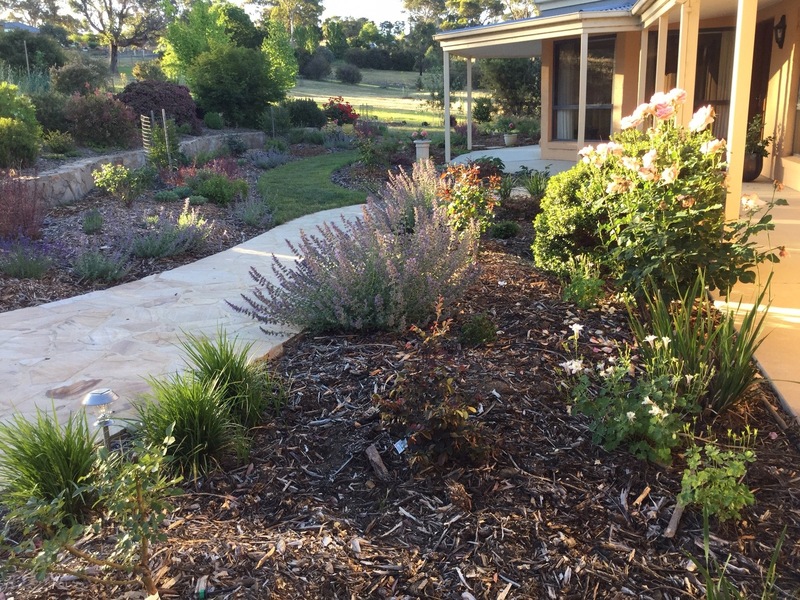 I don’t know what comes in to your mind when you think about a garden re-awaking after winter. Traditionally, for me, I see the bright heads of daffodils popping open, the blue haze of forget-me-nots covering the ground and the uncurling of fresh green leaf buds erupting from a skeleton of branches. But this year, our garden has awoken in a quite different, almost startling manner. Since the middle of the month, most mornings and, without exception, every dusk, our garden has become quite alive with wildlife. By day, the almost deafening hum of bees around a blossom tree and the incredible harmony of a million birds in conversation as they go about their nest-building and wood-pecking create a quite magical environment in which to pull one’s nettles. But as the light levels fade and we retreat indoors, the garden takes on a quite different life altogether. I’m not sure why it has been so different this month, compared with any other month since we’ve been here, but something seems to have changed. My friend no longer calls it my garden, but my ‘nature reserve’; I fear I may have bored her, in my excitement, with a few too many photos of the various comings and goings. We are so lucky to have enormous Georgian windows looking out over the ‘nature reserve’ and fields beyond, from almost every room of the house. As I sit looking out, not daring – or quite frankly, even noticing the need – to put a light on as dusk draws in, I feel as though I am watching a David Attenborough show right in front of me. Roe deer dance on the lawn by the kitchen, hare box, rabbits dig, pheasants run and muntjacs munch. And munch some more, a little worryingly. It’s mostly quite adorable to watch: the dad standing guard protecting the baby roe as he drinks from the pond; the bright white chest of the rare stoat popping up from its hole to see what’s going on; the pheasants starting to pair off together as they squawk and do their funny run across the lawn and the three tiny field mice running along the bare frame of the Wisteria. But it’s also quite wild and harsh out there in this, at first glance, arcadian bliss. I’m not sure if it’s the red kites or the foxes that mean the wood pigeons are often the ones to come off worst in most nature reserve disagreements, but if ever there are more than feathers to be seen at dawn, just one more night and there is no trace at all. We lost one baby hare in both garden litters last year and I’ve already found a lifeless furry baby rabbit and the bones of a very large rabbit this year. Not to mention the very hairy leg of a roe deer lying in the centre of our orchard (where on earth is the rest of it??? ); the farmer later explained, most likely roadkill that the fox had dismantled. I’m not very good at this gruesome stuff, although I try and be brave and robust and country-like. And however upset you are for the baby hare (perhaps less so, the pigeons), keeping in mind the fact that there are another three growing, thriving leverets in the litter, there is something about experiencing nature in its truest, most authentic form, having the full circles and interconnections of life playing out so clearly in front of you, that makes you feel connected to the land on an incredibly deep level. We’ve had some losses this month on the flora side, too. An incredibly windy couple of weeks led to three trees blowing over in our woodland. I think it’s natural to feel sad upon discovering a snapped tree trunk or exposed root system, but we must have something like 300 trees in total and we need rejuvenation to ensure the long term sustainability of the wood. The increased light levels in the small clearings will enable new seeds to germinate, increasing biodiversity and ensuring there is something for the next generation, enabling the full circle of life for plants, too. And whilst the roe deer scratch out resting hollows on our main lawn, the muntjacs bite the heads off my very first marsh marigold pond flowers and I’m currently in a bit of a fight with a rabbit about where it wants its new burrow, on the whole, I’m more intrigued and elated to find evidence of our night time nature reserve activity, than I am annoyed at it ‘spoiling’ my garden. The delight of stumbling across a discarded set of antlers, seeing a female mallard hiding from two male suitors and, best of all, finding toad spawn in our pond this week, more than compensate for minor gardening setbacks. I maintain the right to change my mind on this, but right now, I feel a little destruction definitely adds to, rather than detracts from, the garden magic. And actually, the plants that excite me the most, are the ones that just pop up out of nowhere by themselves. The primrose poking out from the accumulated autumn leaves at the edge of the hedgerow; the corydalis appearing in the unmown lawn around the daffodils; and the stunning blush-pink violets thriving under the estate fencing bordering the farm. No plant that I add can ever beat these acts of nature and of course these acts can and do live in harmony with all the animals: they wouldn’t be there if they didn’t. So really, I’m adding plants at my own risk; those that aren’t compatible can, without too much my grief on my behalf, simply fade and disappear if need be. The one question that remains to be seen, is whether our pair of mallard ducks will nest here, or elsewhere. They’ve been here for most of the month, rudely appearing on the stream first of all; most ungrateful considering all the effort we’ve put into our beautiful, large, wildlife pond. But they do visit the pond on a regular basis. Even wildlife-loving Pete the Pond says they are better as occasional visitors, rather than as residents and they may see my grumpy side if they dare go anywhere near my beautiful, new toadlets-to-be. But then the heron may get there first with the toadlets and unless we have the wildlife camera up in exactly the right place at exactly the right time, it’s probably best for me to let it all do its own thing, blissfully unaware of all the power struggles and politics of the nature reserve by night. Perhaps next month, I’ll put the animals in the nature reserve aside and come back to the plants in the garden. But for now, I’ll leave you with some of my favourite flora of the month. Looks enchanting, Janna, and the wildlife sounds amazing. It’s a pleasure to watch you observing and slowly moving forward with sensitivity to the place as you found it, Janna. Your photographs evoke a still wild garden (to the extent a garden in England can be “wild”). You very much have kept the spirit of the place I had the pleasure to see almost two years ago. This post reminds me a bit of William Robinson. I wonder where you will take it. Thank you, James. Slowly is the operative word, but it’s all good. I’m working hard but there is a lot to do (as you know! ); however, I like the fact that it is evolution rather than revolution. And I’m very happy if William Robinson comes to mind! You must be biting your tongue at my deer-naivety though. How long do you give it?! Always so lovely to hear from you, Tell. I trust you are still making Canberra beautiful through and through? What stunning photography and evocative descriptions Janna. 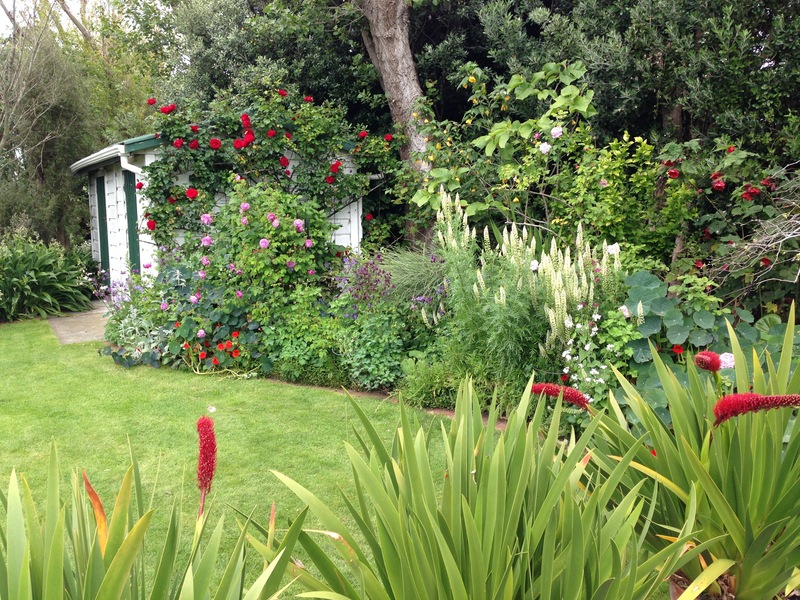 I love the way your garden is developing – or is it returning to what it was before? Minus weeds. A stunning wildlife sanctuary. You must love it. Thank you! I think it’s probably a bit of old (or perhaps a lot of old) and a bit of new, which is just perfect. Paul and I have been really busy out there today, with everything growing pretty much in front of your eyes at this time of year, but it’s so satisfying. A large package of wildflower seeds arrived today, so that’s the next bit of fun. I do, indeed, love it! A lovely way to start my Saturday morning, coffee in hand. Nature and wildlife, the way things were intended. I do hope the wildlife continues to bring such joy and doesn’t get to the point of destroying all that you intend the garden to be. Such a fine balance! Beautiful photos of your private oasis. I’m very happy to have joined you for coffee this morning, Louise! My hope that the wildlife and I can get along in the long term is based on the fact that we already have so many gorgeous trees and plants here, which will have grown up with the animals around. So I figure it all must be doable. Keep your fingers crossed!